As a mid-size architectural office with multi-talented professionals, PDA is especially suited to deliver both Architectural and Interior Design services in a timely and sensitive manner. PDA believes every layout, detail, finish and element can contribute to the ultimate success of our clients' spaces. Our Interiors Studio allows PDA to provide in-house full interior design services for our clients. The Studio's approach to finding the best solution for every interiors project is to develop a Design Intent statement based on the individual needs of the client. This statement informs all aspects of the design. PDA's staff works closely together under the Design Director to incorporate the Design Intent and deliver a successful interior that meets the needs of the client while delivering their vision for the space. The design outcomes for many of PDA's projects have garnered industry awards and have been published. 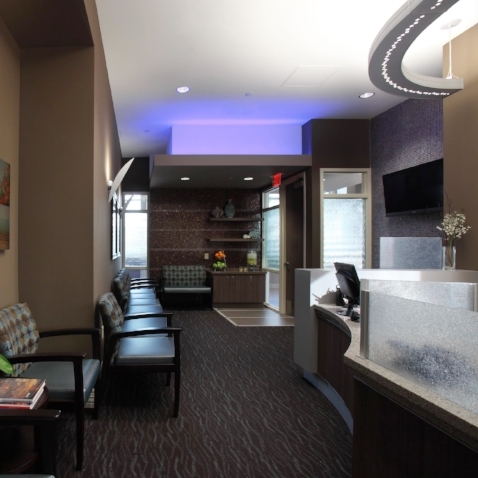 Some examples include: The Spine Center at Glendale Adventist Medical Center; Lobby addition at the Canterbury Senior Living; ER addition & renovation at Centinela Hospital Medical Center and the Heart Institute & Offices at Cedar Sinai Medical Center.